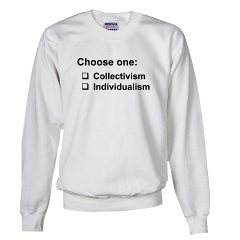 In some intercultural communication class roughly 10 years ago one of the topics was the individualism vs. collectivism in the society. After two years in the Netherlands it seems, that there's some things still to learn for Finland in the topic of collectivism. Below are examples of some services of which I always think why don't these exist in Finland (or maybe they do but I haven't found them?) or if they do exist, there's someone wanting them gone..
A tree needs to be cut down, an Ikea kitchen needs installing - werkspot.nl is the place to be. You can set your task here, and just wait while the entrepreneurs start making offers to you and you pick the cherry on top. For every offer you see the recommendations and reviews. It's a bit like Tripadvisor, but then for all sorts of work that you want to be done around your house. Going away for a few days and need somebody to feed your cat? Or you just broke your leg and need help with the groceries? This neighbor help service helps you in all categories from dating to IT support. If you have too much free time on your hands and would like to help children/animals/immigrants or all of them, you can go here and get a list per location of all the opportunities. I've been surfing long in enough the opportunities around Utrecht, and maybe it would be now about time to stop feeling like an introvert Finn and actually start doing some of them. In the mean time in Finland the Tax Office has expressed their interest in taxing the volunteer/time bank work in Finland. As someone phrased out, in addition to giving half of your salary to them, you also need to start giving your TIME to the Tax Office? Thanks, but no thanks..